As NFI adds more and more followers, blog readers, and “fans” via our social media tools, it often occurs to me that many of you may only have a very vague idea of what constitutes the core of NFI’s work as a nonprofit organization. Many of you may simply think of us as "those folks who write stuff online about fatherhood." So, this morning, I headed over to the local hotel’s meeting room to gather some physical evidence of the “real” grassroots work we do to strengthen fatherhood across the country. 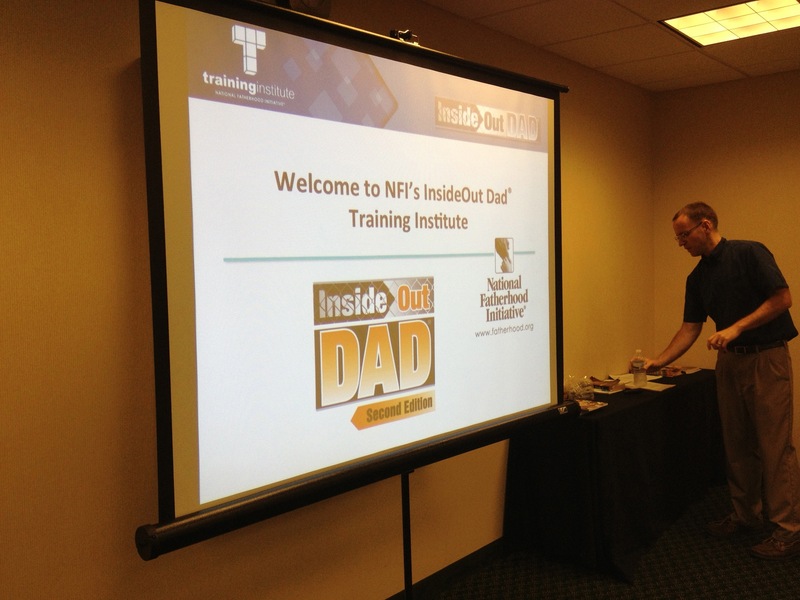 This morning, NFI’s Senior Director of Program Support Services, Mike Yudt, is delivering a full-day training session on our InsideOut Dad® program for incarcerated fathers. The folks we are training are a dedicated group of professionals who work in communities around the country (we even have a guest from Hawaii!) and are striving to ensure that their agencies offer programs for fathers. 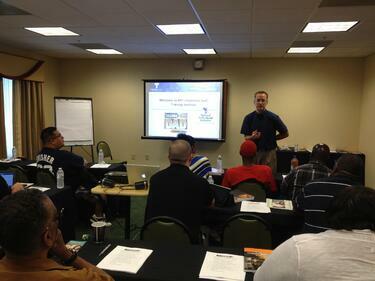 So, they come to us to learn how to deliver our fatherhood curricula to the dads in their communities. 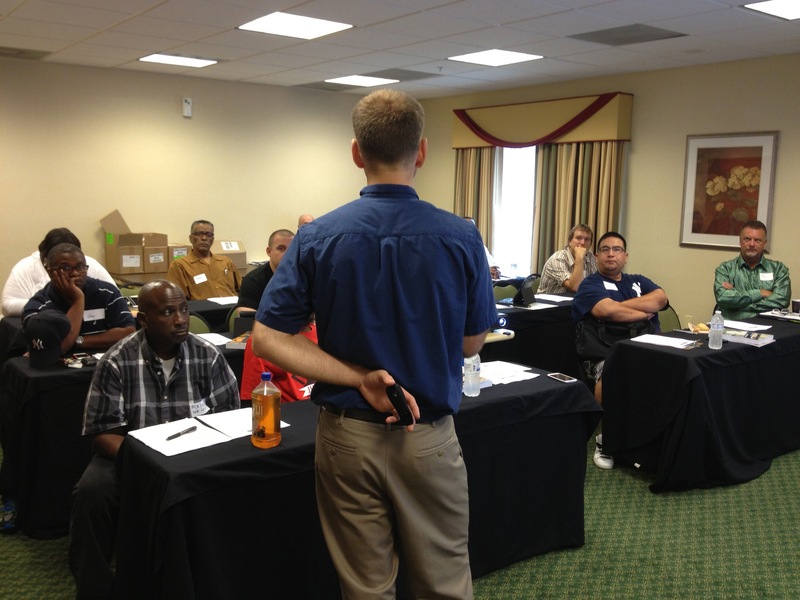 Today is day three of a three-day program in which we trained groups of practitioners on our 24/7 Dad® program, our Doctor Dad® workshop, and today, InsideOut Dad®. Our trainees are folks who see that their communities’ notions of serving “families” often means serving mothers and children. They want to close that gap by ensuring that dads are getting the help they need, too. How often do we do this sort of thing? Well, in many ways it is our “bread and butter.” Since 2002, we have trained nearly 13,000 individuals from nearly 6,000 organizations on how to deliver fatherhood programs into their communities. We have also distributed over 6.3 million fatherhood resources (brochures, books, CD-ROMs, etc) to help dads build their fathering skills. This is the work that keeps us ticking. This is the heart of what NFI does.